We all know animals are human’s best friend. Humans prefer animals that are friendly and easy to tame. When it comes to friendly pets how can we forget about baby Quaker Parrots? Quaker parrots are very social even by Parrot standard. 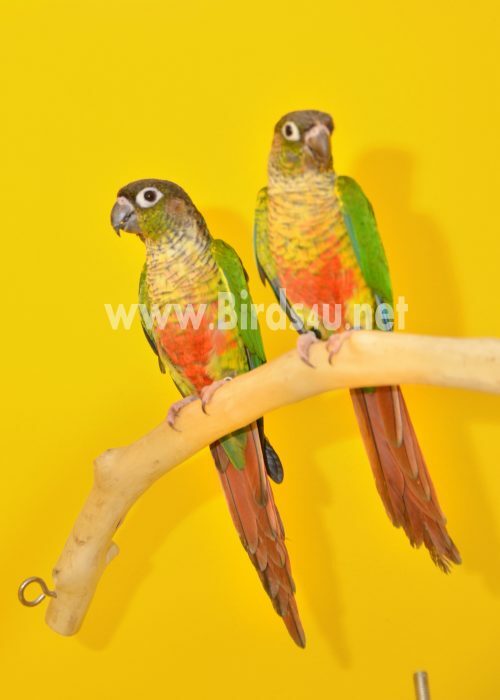 We are offering Quaker parrot in the ages of 3-4 months when they have the maximum potential of learning. In this article we are going to teach you all about baby Quaker Parrot care. Keep scrolling down for more info. What is the Quaker Parrot Price? The price of Quaker parrot varies from place to place. We are however selling neat and clean green Baby Quaker Parrot at a price of £90 each. 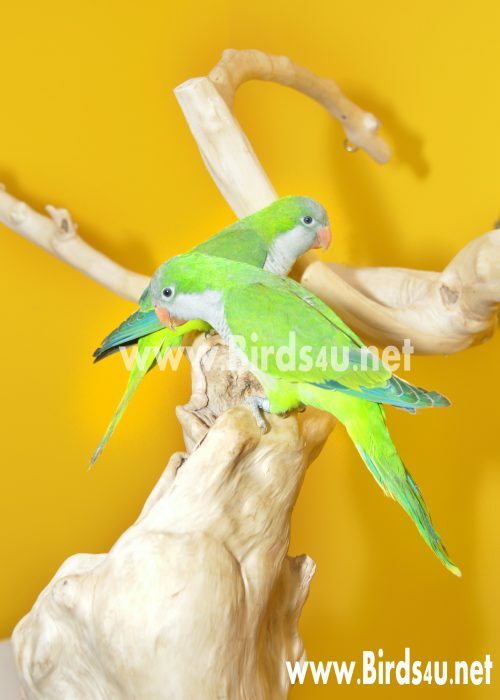 The blue baby Quaker Parrot and yellow baby Quaker parrot which is super cute is around £130 – £150. We know the value of money and that is the only reason why we have kept the price pocket friendly. As we have tamed so many Quaker Parrots we are assuring you that these parrots have an extra ordinary skill of talking and learning. Not only that, it learns everything pretty fast. Quaker parrot talking age begins when the parrot is almost 9 months, at this period they start catching small sentences or words spoken with energy. 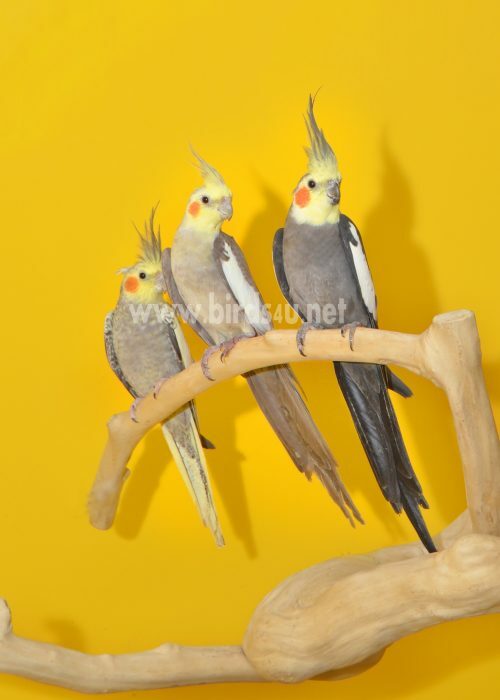 We are providing our customers both with green, yellow and blue Quaker Parrots. Some happy feedback did claim that blue Quaker parrot talking abilities are a little less than the green or yellow ones but they are known for their most affectionate behavior. Based on our experience, you do not have to worry as each Parrot has its own unique nature like Human beings. Quaker parrot cages should not be wide, that is why we came up with customised wide and narrow bar cages because these little cuties can easily escape from cages that contains widely spaced bars. We have provided Quaker Parrot with variety of food so try adding different forms of foods in Quaker Parrot diet because they can easily get bored from the same diet. We have mentioned earlier that we have realised they act just like small babies who get bored by eating the same food over and over again. You can choose from seeds, nuts, fruits and vegetables. Never provide them with chocolate, caffeine and avocado as all of them are highly toxic for parrots. As you can already see from the images we have provided, the cage needs a clean daily because your playful mate tends to get messy. We have regular health meetings regarding our Quaker Parrots and we will appreciate if you can do the same, it can save them from unexpected mortality. Please try to protect them from other pets in house because Quakers are somewhat foolish and do not have much sense about their protection. They are extremely talented and if you don’t trim their feather they learn escape ways pretty fast. If you are uncertain about clipping method we can guide you about that too or we provide a free service for our customers. Last but not least! You have to embrace their chaotic nature because honestly it is part of Quaker parrot personality. 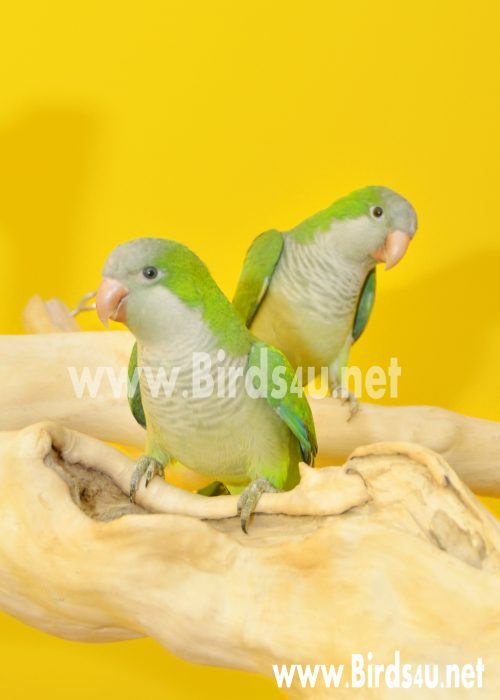 If you are really into smart talkative pets why don’t you buy baby Quaker parrot from us. 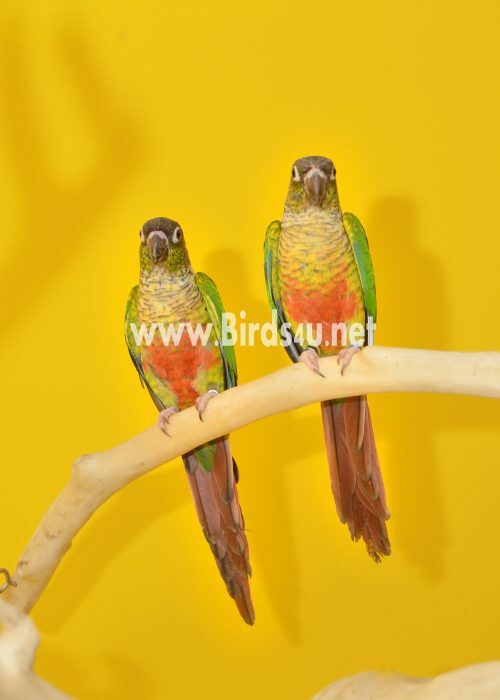 We are providing the customers with healthy, neat and clean feathered baby Quaker Parrots. They are intelligent, and most of all a lot of fun. If you provide the right environment they are going to be your best friend forever. 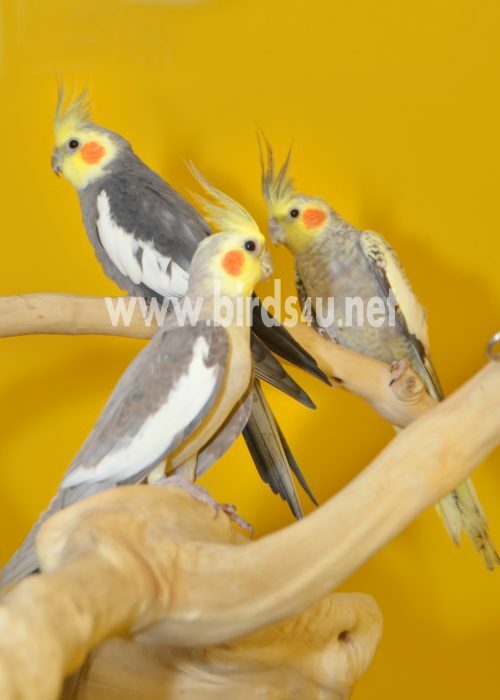 We deal with Baby Quaker Parrots on super affordable rates. The blue, green and yellow baby Quaker parrots. Buy them and you will appreciate them.